Christmas celebration is a once a year event. It is a good time to appreciate your friends and loved ones. One unique thing about Christmas is that it's usually accompanied by an exchange of gift items. However, it is important to get it right. Remember, getting the right gift is not predicated on how much you can spend. A recent study by statista shows that about $752 was spent on an average gift items in 2015. My question is; how many of these gift items were appreciated? It is important that you understand the psychology of the recipient to get it right. However, there is one generation that stands on different pedestals with a unique personality and mind-set. They are called millennials. 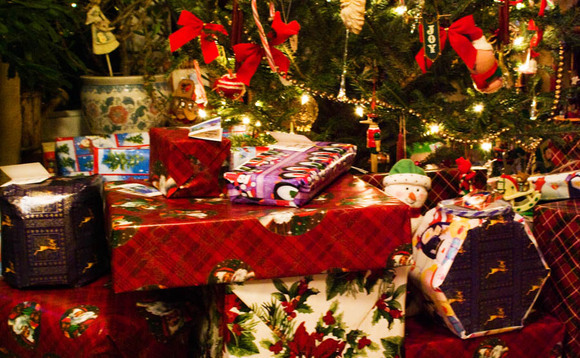 If the recipient of your gift falls into this category then this article is written for you. Millennials are the most diverse generation striving towards a common goal; they study, work, diet, exercise, socialize, dress and shop in a unique way. There are numerous christmas gift ideas that this group of people might appreciate so long you match the gifts and the personality of the recipient. Here are 10 ideas that could help you captivate the mind of a millennial in the festive period. Athleisure wears are the newest wave in the world of fashion and sport because it blends both comfort, fashion, and efficiency into one piece. An example is a combination of leggings, and strappy sports bra and a yoga tank that can be worn for a social event and the gym. Apart from the multifaceted use of athleisure wears, they are lightweight and dry easily, especially for someone who is always on the move. Imagine your day is scheduled for a yoga class, lunch, shopping at the mall and biking, athleisure wears will be handy. Most athleisure were designed with millennials in mind. They are the category of people that are passionate about fitness and well as looking trendy at the same time. As a result, millennials tend to spend more money of athleisure wears already. Some of the athleisure even come with custom zippers in a way that make it trendy. This is the direction millennia fashion is heading and lots of celebrities and professional are beginning to embrace it. Getting a millennial friend one of these as a Christmas gift might likely be appreciated more. The bedding gift can also be termed as a symbolic gift especially when it is coming from a parent to their children or between two lovers. It is a symbol of love and shelter. There are many passionate millennials in colleges who will appreciate bedding gifts like the new comforter, sheets, and dorm bedding which can be useful when entertaining sleepovers. This is a good gift to be remembered by. It has been reported that coffee holds the key to improving productivity among millennials. This choice of gift falls in the highest category especially if your recipient lives far from a roaster. There is nothing greater than the smell of freshly prepared coffee in the morning and for those who live far from the roaster or who want to try out another roaster, the coffee subscription is the key. Coffee is the number one obsession of the millennial generation after breakfast and social media. The millennial generation is the most open-hearted and free minded group of people. They love to laugh and have a good time with people from different backgrounds. For most of them, getting engrossed in comedy shows is the easiest way to forget their worries and nagging bosses. Not all millennials will like to go for a drink especially at difficult times but a laugh is always welcomed. The good thing is that you don't have to hire a comedian before you can bring laughter to a millennial. A simple comedy show ticket will do the trick. It has been established by many pundits that millennials value experiences over things. This is one of the reasons millennials love to travel. Whether it is adventure holidays in Europe, East Africa and luxury villas in Bali, this will surely bring happiness, good health and increase work productivity. So, consider helping out with some vacation costs this holiday season. The great thing about Airbnb gift cards is that it has no expiration date. This means the receiver can take their time planning trips. Millennia are always adventurous and handling this form of gift to a millennia is a true investment in bringing the best out of them. I mentioned earlier that the millennia are the social buddy of this era and they spend a lot of their time propping up their social media sites with new selfies. With the trending nature of parties and social events having a selfie stick will be handy for quick and clear images. The selfie stick is a portable kit to enhance selfies. It's a monopod with extensible metal sticks and adjustable clamp to hold your smartphone. Apart from selfies, the monopod can also be used to make short videos. I will recommend this gift item if you have a low budget this Christmas. The combination of athleisure wears and a fitness band is often seen on millennials as they love to keep track of their fitness-related metrics such as calorie consumption and distance walked. This item is becoming increasingly common as health mindful people look to them for motivation in their quest for fitness. This gift item comes in various grades and could be as high as $250, depending on its functionality. Getting a solar powered fitness tracker will be like icing the cake. Aside their affinity for fitness related items, millennials are also more passionate about renewable enery. They are the group of people that know more about how solar works. I will recommend it as a dual gift with the athleisure wears.